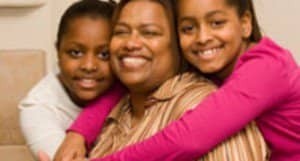 What is co-parenting? 2houses | What is co-parenting? Co-parenting is a term used by professionals but rarely by parents themselves. Co-parent is actually a shortened version of cooperative parent and cooperation is basically the key to making things work between ex partners. However, if you are in the middle of a divorce or leaving a long term relationship often you will be so exhausted you will have no energy for cooperation. Most parents are tired, defensive, hurt and more often than not want to take out revenge on each other rather than be cooperative. More likely you see co-parenting as short for competitive parenting! You might be competing as a way of showing your child they still matter or to off set your feelings of guilt. After all, few parents want to feel responsible for upsetting their children. So how are you expected to put all your hurt and anger to one side avoid the competition and cooperate with each other? Learning to be an effective co-parent is an ongoing process that will last as long as your children need you. Like any new skill, it takes time and practice to feel you are doing it well (or well enough) and there will be many times when you will feel you are getting it wrong and finding it really hard going. But think about when you first became a parent. The responsibility will have felt overwhelming you will have worried about getting it wrong but over time most of us figure out a way of our own and grow in confidence.